It’s the big curtain-raiser – the Opening Cup. This year’s game pits Gagarin Cup winner SKA against regular season champion CSKA. It’s all set to be the latest chapter in a rivalry that is defining the current KHL – and it’s a game full of intrigue. Both teams have undergone some significant surgery over the summer. SKA’s free-scoring offensive combination of Vadim Shipachyov, Nikita Gusev and Evgeny Dadonov is no more: Shipachyov and Dadonov have moved across the Atlantic to try their luck in the NHL. In their place come Sergei Kalinin, back in Russia after a stint in the KHL, and ex-Dynamo Moscow forward Maxim Karpov, who scored a play-off hat-trick against SKA last season. There are also defensive reinforcements in the form of Lokomotiv youngster Vladislav Gavrikov and experienced Swede David Rundblad, part of the Blackhawks 2015 Stanley Cup-winning roster. Despite the challenge posed by the loss of such impressive scoring power, by the end of pre-season head coach Oleg Znarok was impressed with his charges. CSKA also has plenty of new faces, starting with incoming head coach Igor Nikitin. 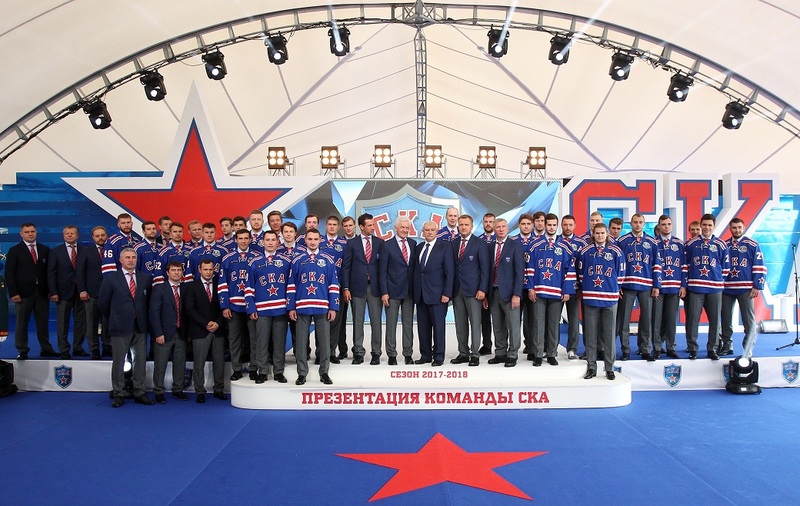 The club followed a deliberate policy of trying to bring Russian players back home from North America at the start of this Olympic season, with club president Igor Yesmantovich talking of success for club and country. 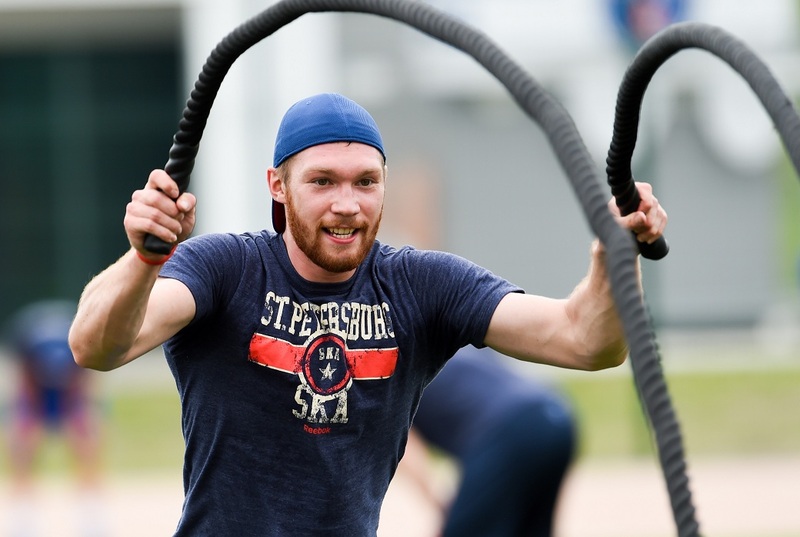 The brightest lights of that plan are the return of defenseman Alexei Marchenko and forward Mikhail Grigorenko, two CSKA graduates who are returning to their alma mater after stints in North America. Both players are still young, but the experience they’ve gained across the Atlantic makes them intriguing additions. 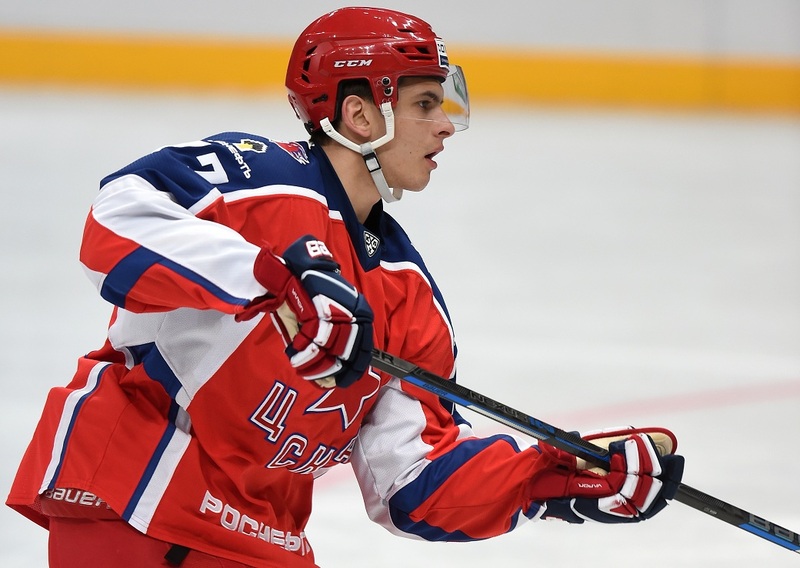 Roman Lyubimov is another familiar face returning from the NHL. The Muscovites also recruited heavily from Sibir, attracting Maxim Shalunov, Sergei Shumakov and Konstantin Okulov from Novosibirsk. Despite several changes, CSKA had the best record in pre-season, wrapping up its preparations by winning the Mayor of Moscow Cup last week. Recent seasons have seen these two teams battle for supremacy in the Western Conference. So far, SKA has the edge – those two Gagarin Cups in the last three seasons suggest a lasting dynasty might be emerging beside the Neva. But CSKA has had its moments: the Moscow club has topped the regular season table in each of the last three years, and beat SKA on its way to the grand final in 2016, only to lose out against Metallurg Magnitogorsk. Typically, games between the two clubs are hard-fought and high-scoring affairs. In recent seasons, they’ve often met four times in the regular campaign, as well as crossing paths in post season in … This time, though, tonight’s game will be the first of just two encounters – adding to the stakes. As for the clash with CSKA, Kovi reckons SKA’s preparations leave them ‘fully armed’ and added that he didn’t envy CSKA despite its summer reinforcements.